Unfortunately, the burglar doesn't need to look around very long to discover "Welcome Burglar" signs unwittingly left around many homes. It is even more unfortunate when you realize that all it takes to make your home less inviting to a burglar is a little common sense and several easy, effective and inexpensive crime prevention measures. By following the suggestions in this brochure you can decrease your chances of becoming a burglary victim. Open garage doors attract burglars.Make a habit of keeping garage doors closed and locked, an open garage door with no car in sight is a clear invitation to a burglar, especially if the garage is used to store such items as bicycles, power mowers, garden tools, and other easily stolen property. When you admit a repairmen or salesman do not leave him alone for even a few minutes. Don't let a stranger inside your home to use the telephone; make the call for him. Operation Identification is a citizen's burglary prevention program. The Operation Identification program has two parts. First, engrave your valuables with your driver's license number. Marked property can be easily traced and identified as yours. Second, display an Operation ID window and door sticker which tells would-be burglars that your property has been marked. Marked property and the presence of the Operation ID sticker are proven burglary deterrents. Many communities have formed Neighborhood Watch groups to protect themselves from burglars. 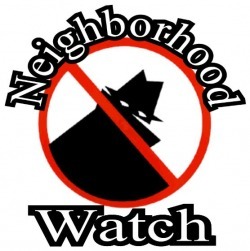 Through a Neighborhood Watch organization, neighbors agree to keep an eye on each others property and to report suspicious activities to the Acworth Police Department. Please help us patrol our community pool and tennis courts by driving by whenever you can. If any suspicious cars are parked or see any vandalism, please get their license number and report to 911. Please provide car model and tag numbers if possible. The Board WELCOMES any resident who can devote the time to research and make specific recommendations regarding improved security at our community pool and tennis courts.